The most important part is what Anand highlighted from this walkthrough; namely that the Rogue series has a chip that is on equal balance if not even stronger than Tegra K1. That remains to be seen - but it does appear to be competitive at this point. We also don't know what the entire Denver+K1 package will do. Interesting. Which article mentioned that? Would you mind linking me to it? That's because there is none. 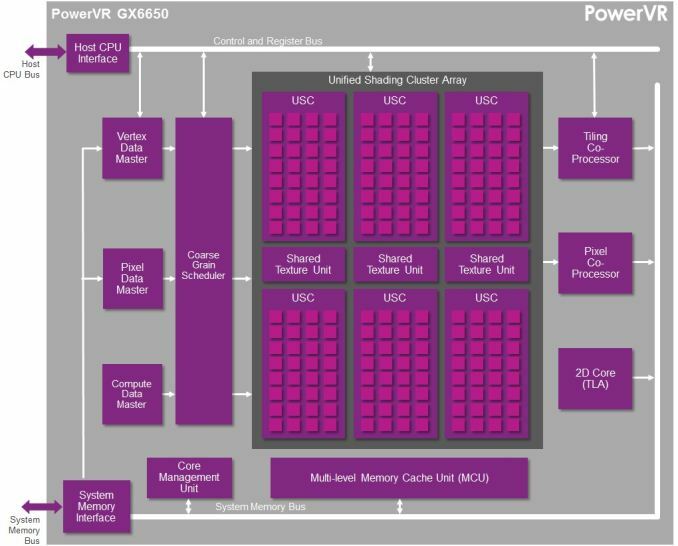 It was an estimate given by Ryan Smith based on prior Imagination GPU announcements, and the time it usually takes chipmakers to integrate the design and bring a device to market. "Finally, while Imagination doesn’t provide a timeframe for consumer availability (since they only sell designs to chipmakers), based on the amount of time needed to integrate these designs into new products and then get those products in the hands of consumers, we should be looking at a timetable similar to the original Series6 designs. In which case Series6XT equipped SoCs would start appearing in 2015, likely in the latter half." I don't know, ask Ryan Smith.